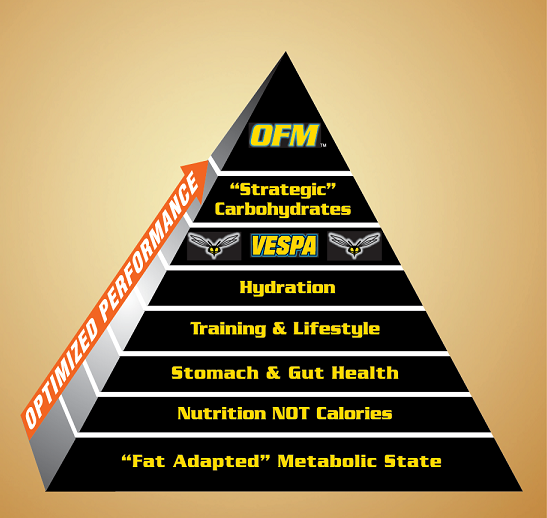 The OFM Pyramid (Optimized Fat Metabolism) is a tool, so the athlete can understand the complex, highly inter-related aspects of the OFM Program in an intuitive way. This allows each athlete to create their own personalized OFM program around their individual needs and situation, rather than force them into a “one size fits all” program. This not only achieves results, but makes the OFM program feasible on a long-term sustainable level. 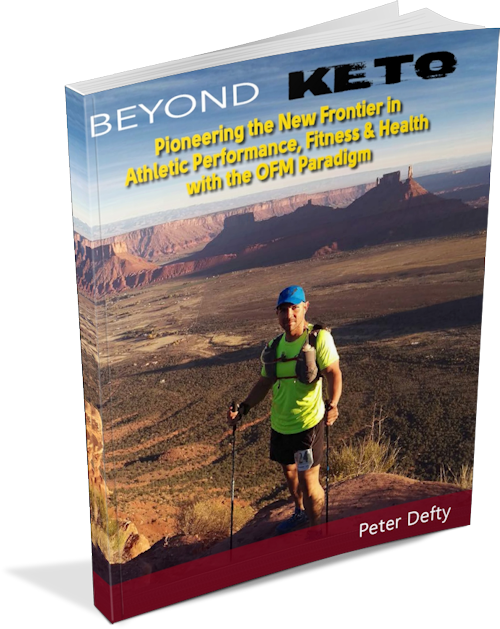 When an athlete achieves “The Zen of OFM,” OFM becomes effortless and intuitive because not only has the body made the physiological shifts, but also the behavioral changes that foster consistent optimal performance and health. The OFM Pyramid is broken down into 7 fundamental elements, which combine to form the OFM Program. Each element is broken down further into related sub-sections. Every sub-section is intricately interwoven with the others and important in gaining your VESPA fueled performance potential. The pinnacle is OFM, what we term “The Zen of OFM”, however, it is first necessary to start with a solid foundation, the “Fat-Adapted” Metabolic State. To find out more how OFM can dramatically change your health and your performance book a call with one of our coaches.